In 2010, during an expedition of the Spanish research ship Miguel Oliver, the researchers from the Smithsonian Tropical Research Institute discovered a new type of shark in the Pacific Ocean near Central America, off the coasts of Nicaragua, Panama and Costa Rica. The shark was glowing in the dark. 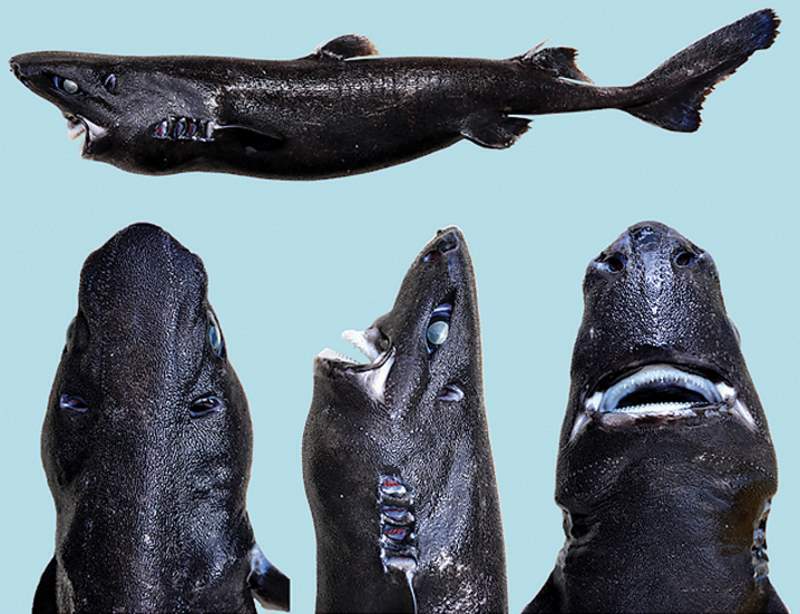 Now it is officially a new kind of shark: its scientific name is Etmopterus benchleyi (it features a tribute to the famous 1974 novel “Jaws” author Peter Benchley), but since it is pure black, it is called “Ninja lanternshark”. The species was described from eight specimens collected off. The shark grows to about half a meter (1.6 feet, maximum length of female specimens) in length and lives at a depth of about 2,700 feet (822 meters) to 4,700 feet (1432 meters). Male specimens are smaller, the maximum length of male specimens collected during the Miguel Oliver voyages is 325 millimeters (12.8 in). The ninja lanternshark is colored black with white markings around the mouth and eyes. Their glowing characteristic comes bioluminescent patches on their sides, along with the spines by their fins, and in other parts of their bodies, depending on the species (only 37 specimens have been discovered so far). Why they do that flashy characteristic is still unknown.